CNCDP, with the contribution from METU and Ankara University Department of Archaeology, includes academics and specialists from different professions such as restoration, architecture, archaeology, earthquake engineering, geological engineering, city and regional planning, archaeometry, and industrial design; the total number of whom reach 40. The program is carried out by project managers, together with Sub-Group Coordinators designated for each theme. Detailed information on academics and staff of METU-CNCDP is given below. Many specialists working especially on Nemrut and Adıyaman have welcomed to be Honorary Advisors of CNCDP. We wish to express our sincere gratitude to Prof. Talat Saygaç (Astronomer), Prof. Dr. Sencer Şahin (Epigraph/Archaeologist), Prof. Dr. Turgut Zeyrek (Archaeologist), Ibrahim Demirel (Photography Artist), Nuri Bilge Ceylan (Photography Artist/ Director), Dr. Donald Sanders and the family of T. Goell (Martha Goell Lubell, Jonathan Goell, and Julie Goell) for their valuable contribution. T.C. Kültür ve Turizm Bakanlığı tarafından desteklenen Orta Doğu Teknik Üniversitesi tarafından gerçekleştirilmekte olan Nemrut Dağı Tümülüsü odaklı Nemrut Koruma Geliştirme Programının sitesine hoşgeldiniz. 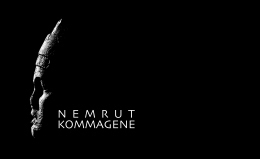 Welcome to the website of Commagene Nemrut Conservation and Development Programme Supported by the Ministry of Tourism and Culture nd realized by Middle East Technical University.